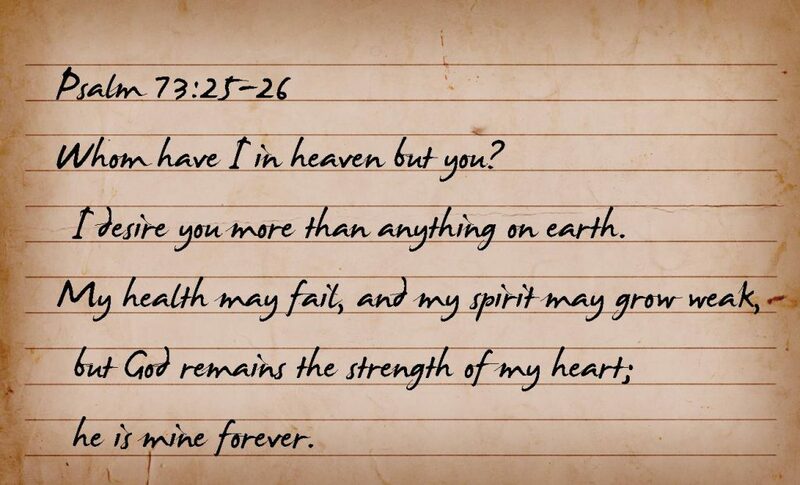 Write these verses (Psalm 73:25-26) on a cue card or piece of paper and put them by your bedside. Read them every day this week when you awake. Refer to your Prayer Journal.